Play as Mumble in the ultimate adventure to win the heart of Gloria and save the Emperor penguin nation. 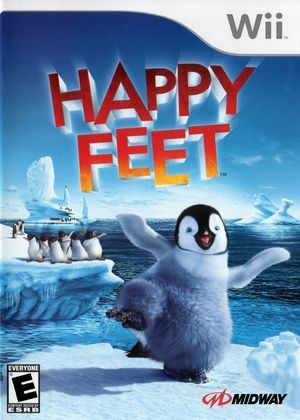 Based on Warner Bros. Pictures' upcoming comedy adventure Happy Feet, Midway's immersive videogame puts the player in the "tap shoes" of Mumble, a young penguin born into a nation of Emperor penguins - where each needs a Heartsong to attract a soul mate. Unfortunately, Mumble is the worst singer in the world... however, as it happens, he is a brilliant tap dancer! Starting a new game (after all menus) crashes on the loading screen. The graph below charts the compatibility with Happy Feet since Dolphin's 2.0 release, listing revisions only where a compatibility change occurred. This page was last edited on 18 March 2018, at 06:29.